This single story, 26,000 square foot hospice building has an L shaped footprint with a second floor over a portion of the administrative area for mechanical systems. 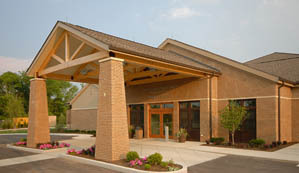 The structure was designed to allow for future additions on three sides of the building. To accommodate the I-2 building classification, steel trusses and metal decking were utilized for the roof framing with load bearing metal stud walls to support them. Foundation work was designed to accommodate a complex site that varied from cutting into bedrock at one end to being placed over several feet of fill at the opposite end. Design also included a healing garden with a timber trellis area for families to gather with patients outdoors. 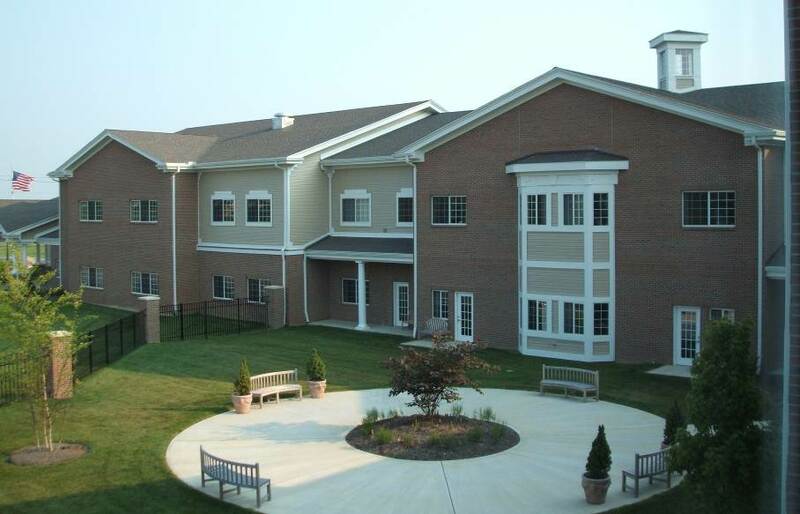 This two story, 84,000 square foot nursing home has a footprint the shape of a plus sign with a partial basement for support facilities under one of the wings. The structure was designed to make use of repetitive construction as much as possible for the four wings. The center area has a vaulted ceiling which continues up to a 16'x16' cupola which allows natural light to flood down into the area. This vault also exposes a crossing set of glued laminated beams and trusses which form the vault.